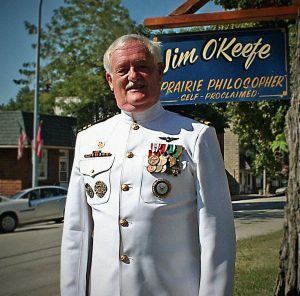 CDR Jim O’Keefe, USN (Ret.) 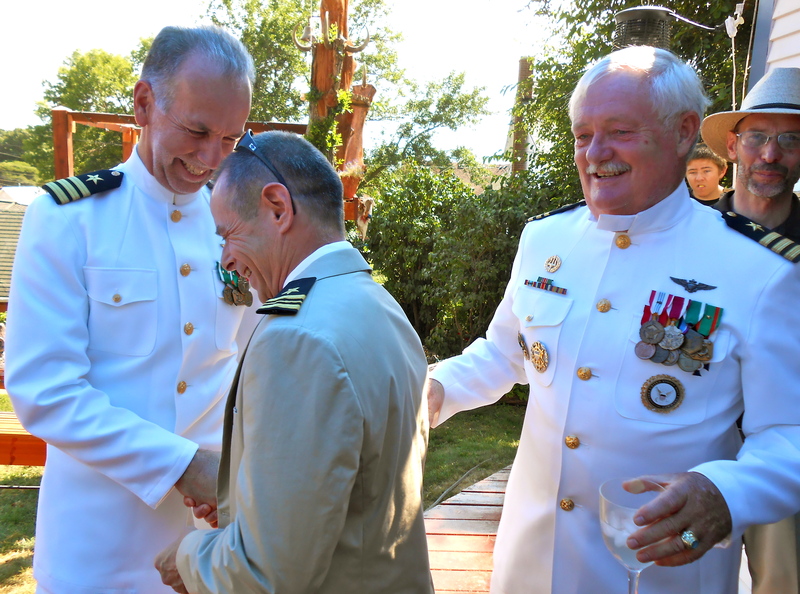 on the right above in his 2013 wedding picture, was the former Commanding Officer of Navy Recruiting District (NRD) Boston(New England), MA, passed away Monday, February 5, 2019 in Elk Horn, Iowa. 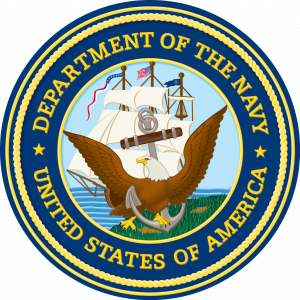 CDR O’Keefe was a Naval Academy graduate of the Class of 1972 and a member of the Training Command Choir with CAPT Kenny Golden, USN (Ret.) and CAPT Tom Ford, USN (Ret.). CDR O’Keefe received his wings and his Navy Helicopter Designation on June 25, 1975 in HT-18 at NAS Whiting Field, Milton, FL. His Navy Helicopter Designation Number was 13461. 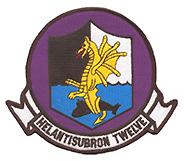 CDR O’Keefe was a Station SAR Pilot at NAS Cubi Point, PI before becoming a Plankowner in HS-12 in 1977. CDR O’Keefe’s department head tour was with HS-14 (O’Brien & Reynolds). CDR O’Keefe was Plankowner there too. After fighting a lengthy and courageous battle with pancreatic cancer, Commander James O’Keefe, USN (Ret. ), 69, passed away on 5 February 2019. “Jim” came to Annapolis from the high plains of Wyoming in June 1968, quickly earning respect and affection within 34th Company and beyond. During the rigors of Academy life, he inspired his classmates with equal doses of determination and humor. Jim was an English major before “Bull” was recognized as an essential naval skill set. A renowned “deep thinker,” he taught many of his fellow midshipmen the pleasure of finding things out. Jim wanted to fly, but went to sea first, serving in Charles Berry (DE-1035) for two years, deploying to Korea, Japan and North Vietnam. 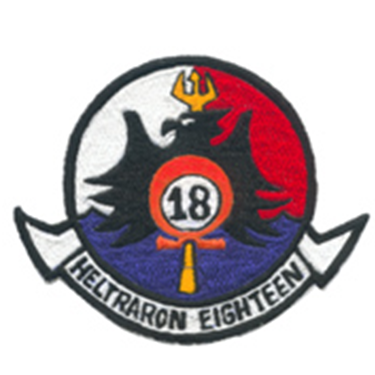 He became a helicopter pilot, flying ASW and SAR missions from Cubi Point and various flight decks in the Pacific. One such mission ended with Jim swimming away from a sinking helicopter, with his crew intact. He attended the Naval War College, administered Pacific Command’s nuclear weapons safety and security program and, assigned to the Joint Chiefs of Staff, stood watches in the National Military Command Center. He commanded Naval Recruiting District New England, conducting his change of command ceremony aboard USS Constitution, the oldest commissioned warship in the United States. Jim became passionate about training as a lieutenant commander while posted at the Aviation Training Command (affectionately known as “Sinatra”) in Pensacola, FL. After his retirement from the Navy, he went to work for SAP, one of the largest software companies in the world. He used that experience to establish several software-based training companies. Jim settled down in Elk Horn, IA, with his loving wife, Phyllis, where the self-appointed “Prairie Philosopher” became one of that town’s most active and popular citizens. A desire to “give back,” prompted Jim to pour his heart into the New Century Art Guild, with a mission to provide training in art and business to military veteran artists, many with PTSD. Serving as president of the non-profit for many years, Jim’s hands-on roles included everything from physical labor, to management, to fund-raising. The charity is a key pillar of his legacy. Jim is also survived by his mother, Pauline of Huntley, WY; son, Jimmy of Portland, OR; and sister, Barbara of Paradise Valley, AZ.